When people imagine the most fascinating creatures, wasps may not immediately spring to mind – but perhaps they should! These industrious, oft-maligned insects have some of the most interesting life cycles on the planet. The particulars of the wasp life inform all the tasks they carry out, including nest building. When it comes to paper wasps, they build their nest from paper. These hard-working insects chew wood fibers gathered from old fences or decks into a paste-like pulp. This pulp plus the wasp’s saliva forms the basis of the nest, which is a network of approximately 200 tiny cells arranged together in a honeycomb shape. Like most animals, wasp homes reflect the life cycles of their inhabitants. To understand how wasps build their nests, it is important to understand how they live their lives. During the winter, all wasps die except the fertile female wasps destined to become queens. These wasps conceal themselves in hidden places, such as underneath tree barks or within the crevices of buildings. When spring arrives, the queens emerge and begin looking for appropriate nest sites. Generally, a group of queens works together, and eventually the most dominant queen from the group subjugates the others into worker roles. 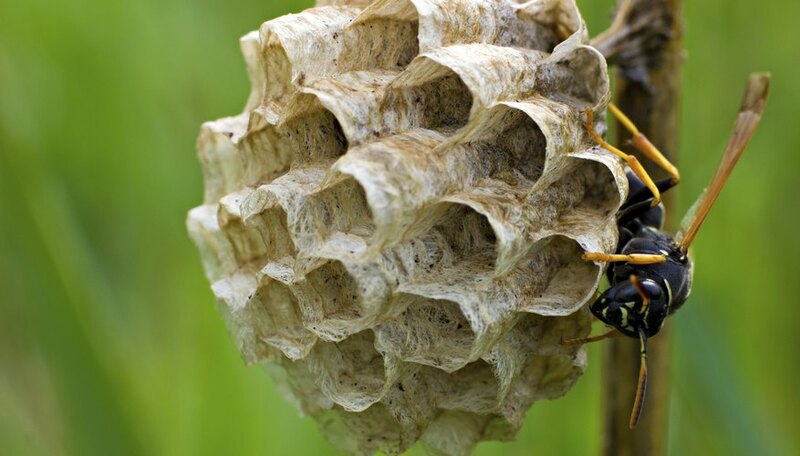 Anyone who has seen wasp nest pictures knows that paper wasp nests resemble honeycombs. To make these nests, the wasps find weathered wood, sourced from old fences or porches, and chew this wood fiber into a paste-like pulp mixed with their saliva. Then, the insects form this pulp into hexagon-shaped paper cells. 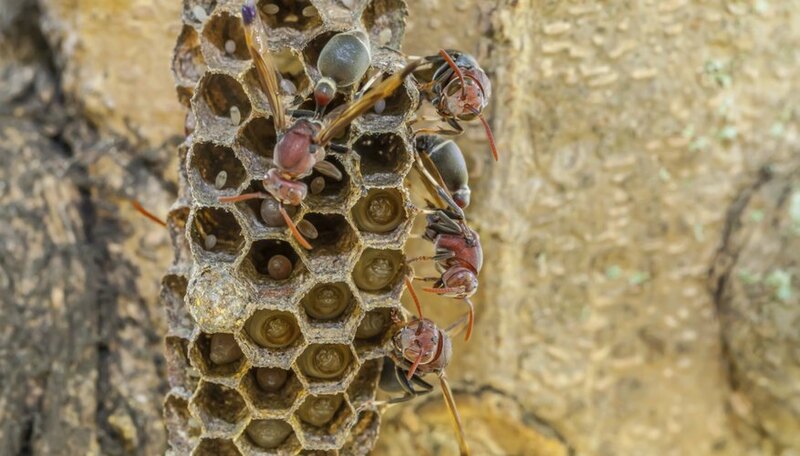 At first, the workers make only as many cells as they need to hold their eggs. Eventually, however, the paper wasp nest will contain approximately 200 cells. From the outside, these nests appear umbrella-shaped and often hang in protected areas like tree branches, eaves, porches and railings. Wasp nests look a lot like the paper nests built by other creatures like hornets and yellow jackets. However, those insects cover their entire nest within an envelope of paper pulp while wasps leave their nests bare, and most yellowjackets build their nests underground. These simple facts can help you with wasp nest identification. The nest constructed by a colony of wasps will last for only one year. After a summer spent busily caring for the young wasps and working on the ongoing nest construction, the wasps mate. By the first hard frost in late autumn, the paper wasps abandon their nest. 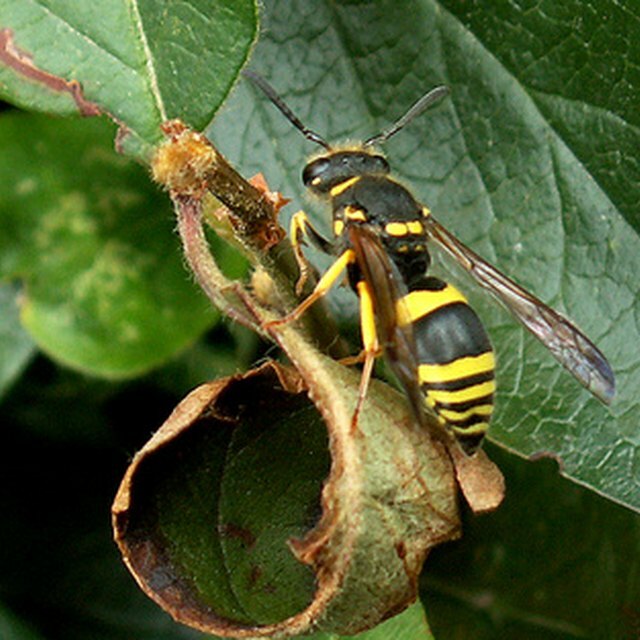 Only the female wasps that succeed in fertilizing their eggs will survive the winter. Mayer, Melissa. "How Do Wasps Make Their Nests?" Sciencing, https://sciencing.com/do-wasps-make-nests-5470751.html. 25 July 2018.